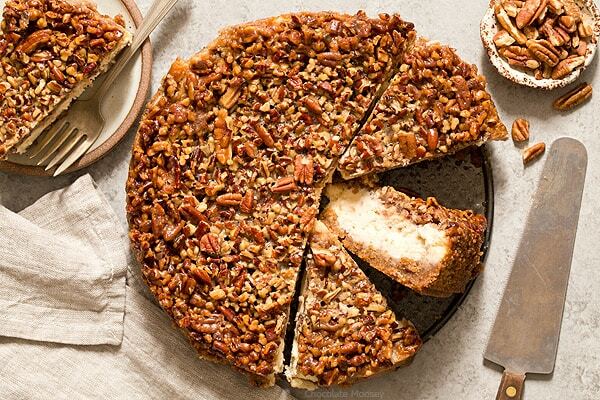 You’ll go nuts for a heavenly slice of Pecan Pie Cheesecake with a homemade pecan graham cracker crust that combines two classic desserts into one sinful bite. The 2016 Presidential Election was definitely an exhausting and eye opening week. 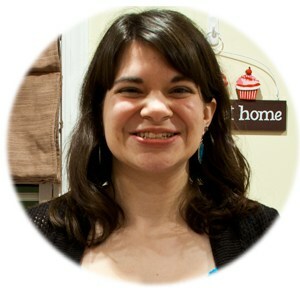 This blog has always been about the food, so I’m not going to express my political views. All I can ask is to be kind to one another and have an open mind to listen to those who are different from you. Anyway, it’s time to focus on moving forward. Step by step. Piece by piece. The world is still spinning and we still have to plan the holidays. Thanksgiving is next week (!!!) and Christmas a little over a month away. When I think of pie for the holidays, I often think of pecan pie. 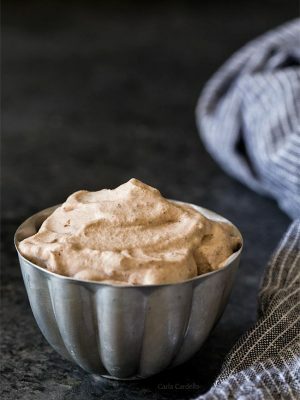 It’s a Thanksgiving alternative to pumpkin pie and a strong contender for Christmas dessert. I’ve post one variation with German Chocolate Pecan Pie and thought what else could I make. It shouldn’t be a surprise to anybody I came up with Pecan Pie Cheesecake. 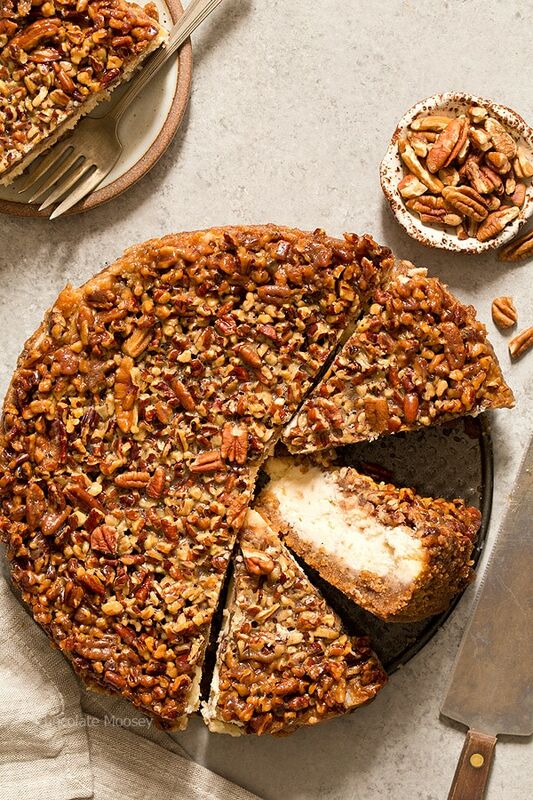 As the name states, it’s a cross between pecan pie and cheesecake. The bottom is a homemade graham cracker crust with ground pecans. In the middle is a classic cheesecake filling. 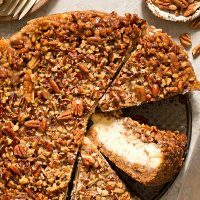 The topping is what you’d find in a pecan pie – pecans, corn syrup, and cream. Pecan pie is often a very sweet pie, so it’s usually a love it or leave it dessert. I have a big sweet tooth, so of course I’m all in. For the crust, I added ground pecans for some extra nuttiness. It’s subtle but it’s a nice touch. I left the cheesecake filling plain as there is enough flavor going on with the crust and topping. How do you make the pecan pie topping? The topping is easy to make; all you do is boil sugar, corn syrup, cream, and butter then stir in the pecans. The hardest part is making sure the mixture doesn’t bubble over the pan. Corn syrup is one of the main ingredients for the pecan pie topping. However, not everyone has it in their pantry. To substitute for corn syrup, dissolve 1 cup granulated sugar into 1/4 cup hot water. Then measure out the 1/3 cup you need for this recipe and store the rest for future use. Because corn syrup is sticky, I prefer using a mason jar for storage. Check out my other recipes using corn syrup to use up the leftover. Which pan should I use to bake cheesecake? When making a traditional cheesecake, you always want to use a springform pan (affiliate link). Cheesecake is too fragile to flip out of a cake pan. The springform pan allows you to remove the pan without damaging your dessert. For this particular recipe, I recommend placing your pan on a baking sheet or having an oven liner underneath. Because the pecan pie topping is liquidy, the pan may drip. I always have an oven liner but didn’t realize the pan dripped. The next time I heated my oven, I opened the door and smoke poured out everywhere. Turns out the residue left behind on the oven liner burned badly. Whoops. Preheat oven to 350F. Place a 9 inch springform pan on a baking sheet. In a large bowl, mix together the graham cracker crumbs, ground pecans, and melted butter. Pat into the bottom and roughly 2 inches up the side of the pan. In a large mixing bowl, beat together the cream cheese and sugar until light and fluffy, about 3-4 minutes. Beat in the eggs, one at a time, for 1 minute each. Add the vanilla then beat for an additional 1-2 minutes. Spread the batter into the crust. Next, make the topping: In a large saucepan, whisk together the brown sugar, corn syrup, heavy cream, butter, and salt. Bring to a rolling boil. Once boiling, cook about 3 minutes, whisking often to prevent bubbling over. Remove from the heat and stir in the vanilla and pecans. Pour the topping over the cheesecake then bake 45 minutes. The center will still jiggle but will firm as it cools. Cool 1 hour in the pan then carefully run a knife along the edge to loosen the cheesecake. Cover and refrigerate for at least 4 hours or overnight. Remove the pan side before serving. Store leftovers in an airtight container in the refrigerator for up to 1 week. I have a wonderful maple pumpkin cheesecake I make for the holidays, but, this looks SO Good! I will have to try it this year. Do you think that it would be okay to freeze? I usually cut my cheesecakes in half or quarters and freeze some for later. Any thoughts on how the pecan pie topping would freeze? Thanks. I haven’t personally frozen it, but I do know you can freeze pecan pies in general, so I’m guessing yes it’ll be fine. Make sure it thaws enough so it isn’t rock hard when serving. 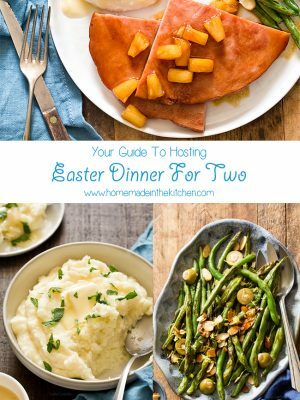 This might be a silly question… but, do you think it would be possible to use (at least) two 4″ spring-form pans for this recipe? Or would it have a negative outcome on texture, etc. Thanks! I don’t think it’ll affect texture if you divide the batter evenly. You may also need to reduce the baking time, probably bake 25-30 minutes. A 9-inch springform pan is roughly 10 cups in volume. One 4-inch springform pan holds 1 1/2 cups in volume. If I had to guess, I’d cut my recipe in half then divide among three 4-inch pans. Do you have to worry about the topping getting overcooked before the cheesecake itself is done? 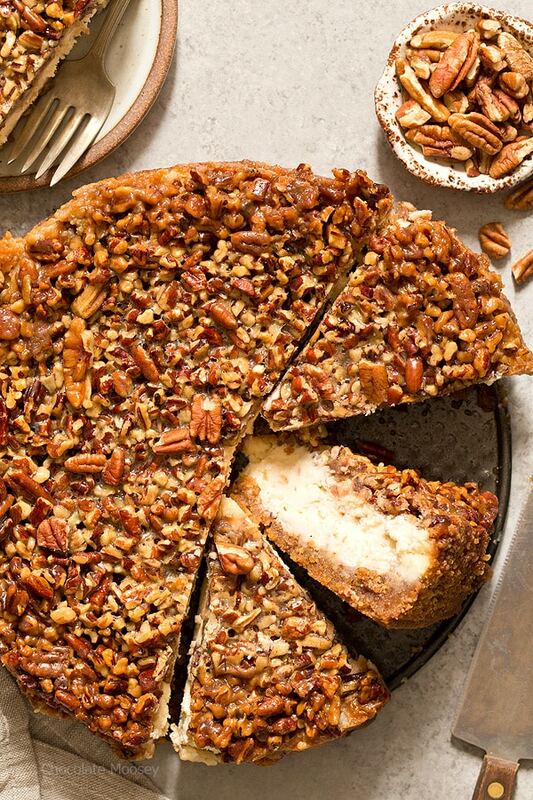 I have read a few other recipes for a pecan pie cheesecake and they place the topping over the cheesecake once it is cooked and cooled. Nope! It works fine the way it is written (I promise I would have published it differently if it did get overcooked). It may look underdone after baking, but it’ll firm up once it cools. Make sure you use full-fat cream cheese as sometimes low fat and fat free are too watery for the cheesecake batter. I made this cheesecake for Thanksgiving dinner and it was absolutely amazing!!! Thanks for a great recipe!! Oh wonderful! Glad you enjoyed dessert and hope you had a wonderful Thanksgiving. I make a pecan pie every year for a friend of mine this year I am making this one. thank you. Oh awesome! Let me know how it turns out. Share a photo on social media if you’re on there. 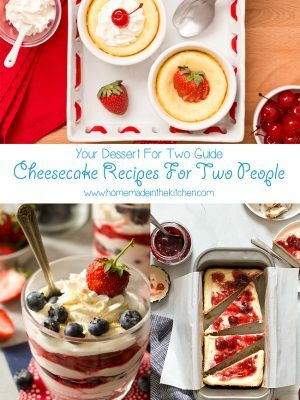 I am the cheesecake baker in my family, and my sister-in-law saw this recipe and wanted me to make it. I made this last night, it was super easy But the topping on mine came out like peanut brittle, it’s not gooey at all. It has a very good taste to it but I’m afraid that the topping is going to be too hard for my older family members to eat. 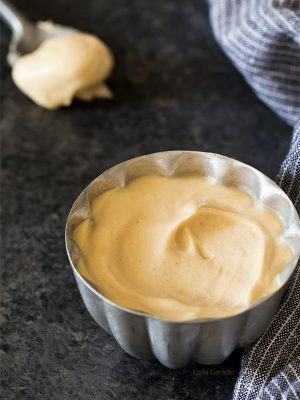 I followed it to the letter and it was nice and soft and gooey when I poured it on to the cheesecake mixture but after baking and pulling the cake out of the oven, I noticed that it was going to set up differently than what I expected. I have not cut into it yet and I’m sure the crust in the inside are going to be very good but topping did not turn out. I was very careful to not let the topping mixture go very long before I took it off the heat and added the remaining ingredients. I won’t say that I’m disappointed in the recipe but something didn’t go right and I’m going to make it again at another time to see if I can figure out exactly what happened. Thanks for the recipe and Happy Thanksgiving. Oh no! I’m sorry to hear that happened. It sounds like maybe you overcooked it? That would cause it to harden like brittle. UPDATE: Normally, I would say that you were correct because that has happened, but I made sure that my oven temperature was spot on and timers were set to the second. When we made it to our destination, I did not put the cheesecake back in the refrigerator but left it out so it would come to room temperature. The topping softened some and was very easy to cut, and as I thought that it would, it had a very good flavor. After all was said and done the family was in agreement that they preferred the crunchy topping to a softer/gooey topping, that it was a good contrast to the soft cream cheese, and graham cracker/pecan crust. My mother-in-law also commented that she felt that the pecans had a more toasted taste to them which would be attributed to the peanut brittle-like texture. It was decided that this will be one of our yearly Thanksgiving desserts and will be one of my go-to recipes. For the family’s sake, I only hope that the topping turns out this way every time. I apologize if it was made to seem like the recipe was off, because I knew the recipe was going to work out it was just the topping did not come out the way I expected, but in the end it turned out for the best. For anyone wanting to try it, it is a very good cheesecake and the topping, whether gooey or crunchy, works out well. Thanks again for the recipe and I hope you had a great holiday. Thank you for clarifying! Happy to hear the cheesecake worked out after all. Made it for last night to take to my mothers for Thanksgiving. It was “destroyed”,not able left. Everyone loved it! I will make this again and again. Glad it was a huge hit! Hi! This cheesecake looks great! I just have a concern, since the cheesecake is liquidy, I would think the topping would tend to sink into the batter. Could that happen? The filling is thick enough so it’ll sit on top. It may sink slightly on the top, but it won’t sink to the bottom. Hi! This looks amazing! 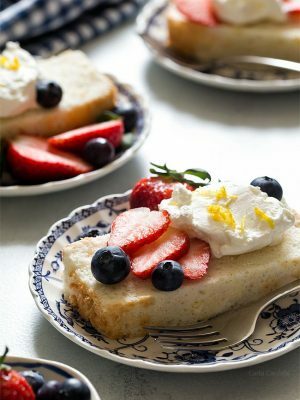 I am planning to make this cheesecake for family dinner today, but where I live, it is very hard to find corn syrup :((( Is there anything else I can use as a substitute? Thanks a lot! I haven’t made cheesecake before and want to try this one. I thought cheesecakes required cooking with water in the oven. 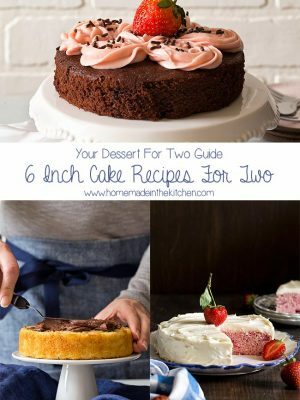 Is this not needed for this recipe because of the topping? Not all cheesecakes do! The recipe I adapted this from did not require a water bath and have made variations of that base recipe at least 25 times if not more (all of my cheesecakes are based off of it). None of them crack unless you overbake it or use too small of a pan. I can’t speak for other cheesecake recipes as to why they need a waterbath. I know it’s related to the cheesecake batter rising too high then sinking back down, causing a crack as it does (my guess all of the air beaten in and/or amount of eggs which causes the batter to rise). And in this particular case, the topping does help weigh down the batter. All of that to say – you’ll be fine following the recipe! 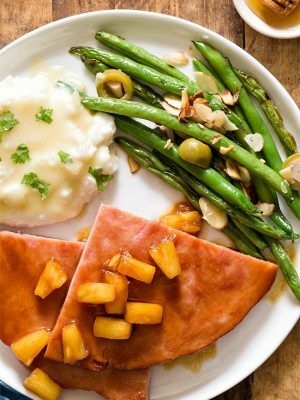 The recipe was so simple and easy to follow that this will definitely be added to our Thanksgiving dinner every year! I’ve got it in the oven baking now and it smells heavenly!!! The hardest part is waiting! Ahhhh! Lol. Happy Thanksgiving to you and your family! Made this for Thanksgiving and it was a huge hit! It turned out perfectly despite me accidently leaving out 1 of the blocks of cream cheese! I also made a 2nd batch of the topping because 1 didn’t cover the entire thing and we saved the little bit leftover as a dip for apples. 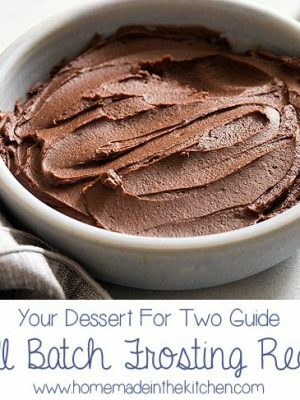 I will definitely be serving this every Thanksgiving from now on and will make it whenever I need a dessert to impress. Thank you!!! Glad it still worked out for you! I’m not sure why you had to make a double batch of topping because it should’ve been enough. What size springform pan did you use? If it was larger than 9 inches, it may have been too wide for the topping. Or perhaps you made a really thick layer of topping instead of spreading it out? Also I’m sorry you felt this recipe only deserved 1 star. It sounded like you enjoyed it! OMG two favourites in one! Do you know if it works with light cream cheese? thanks for this recipe and love your blog! 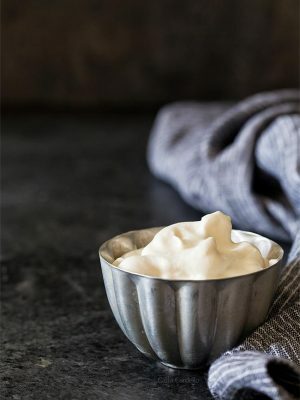 I haven’t tested it with light cream cheese, but I do know light and fat free cream cheeses have a higher water content. Fat free cream cheese usually doesn’t work well in cheesecakes. I’ve heard success with using neufchatel, but I don’t have any personal experience with it. Based on all the positive comments and reviews on this recipe, I know i want to make this cheesecake. We have an event coming up where it would be better to serve dessert in individual servings. I have 50 small 7cm by 2cm aluminum pie molds that i want to use. Would this recipe be enough for that amount? Also, would the cooking time change? To be honest, I have no idea. I’ve only made this recipe in a 9 inch springform pan, which has a volume of 10 cups. You’ll have to figure out the volume of your pie molds then decide if 10 cups is enough. I’m also not sure about pie molds because cheesecake is fragile, but I guess if you’re serving them individually, you don’t have to worry about unmolding. My guess is cooking time would be less because individual servings are much smaller. I highly recommend doing a test batch before your event. Let me know what you end up doing! I’m curious how this will work out for you.